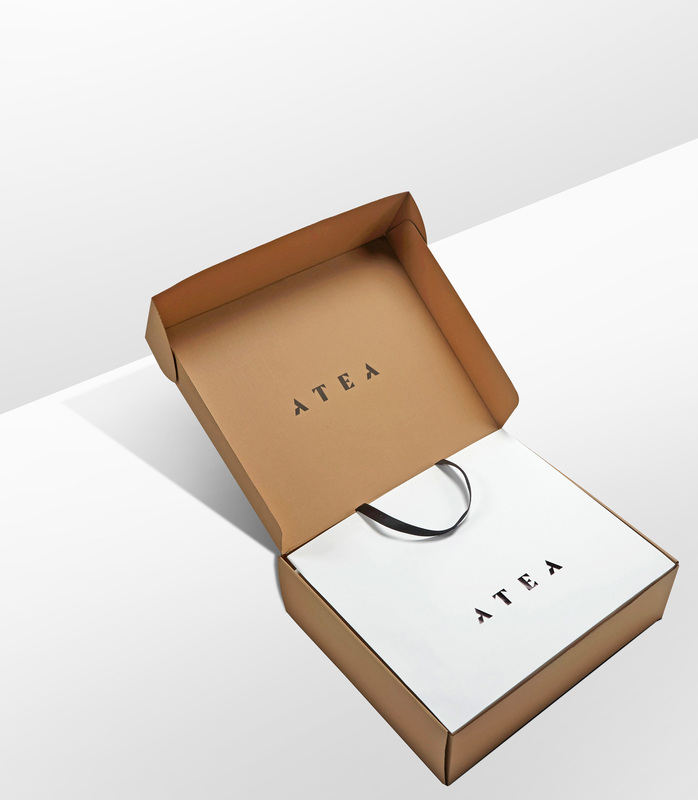 When Atea Oceanie were looking to build a new line of e-commerce packaging, it was Assembly London, who brought their branding to life and commissioned Progress to manufacture the bags and cartons. 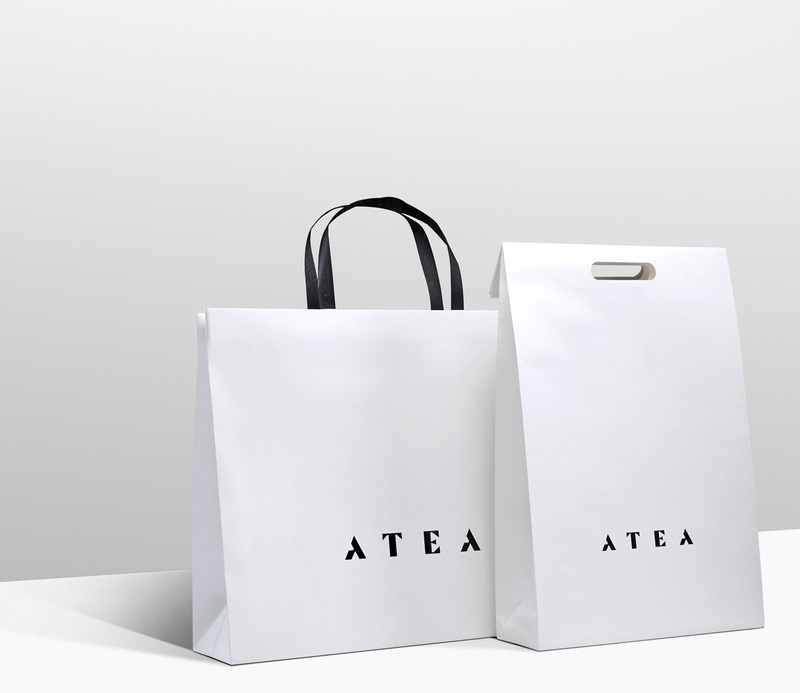 Two versions of bags were produced, both made from off-white Kraft Paper and stamped with a black gloss foil to both sides to showcase their identity. 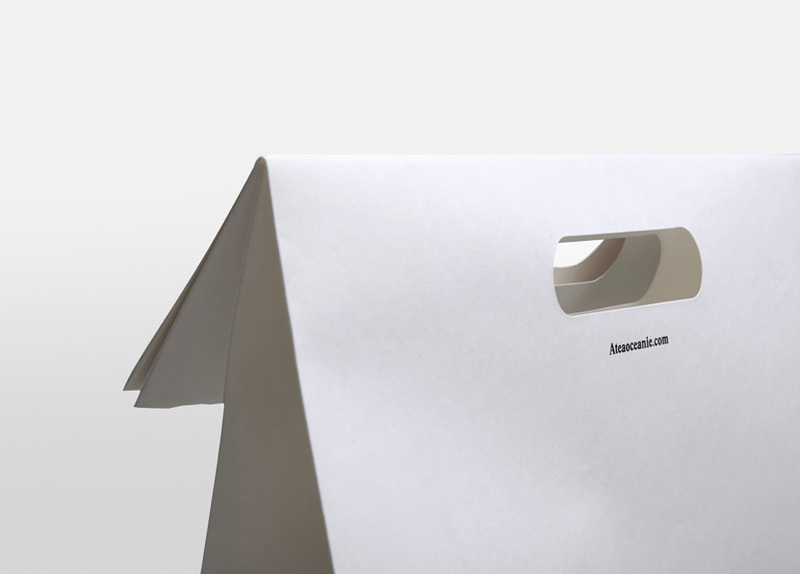 The handles were different on each version – one fitted with black pinstripe embossed paper carrier handles, the other, more structural, with ovals die-cut from the body of the bag. 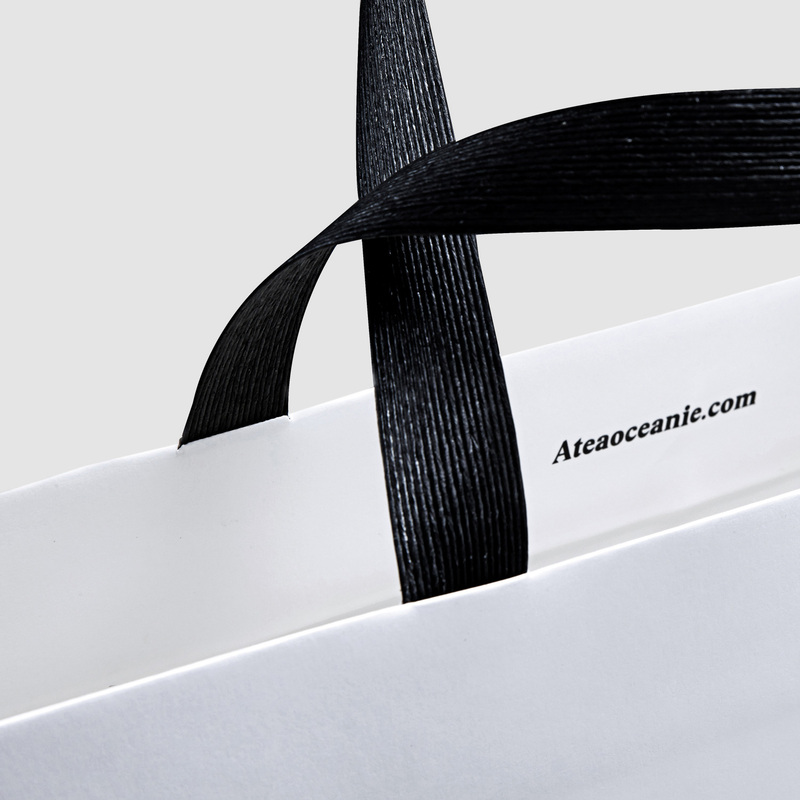 To keep the product and bags safely protected during worldwide shipping a custom corrugated mailing box with a one colour flexo print on the outer was produced. For a brand with androgynous appeal, the white and black theme helped to emphasise the finer details of the packaging range that also included swing tags and button bags.